Everything that goes down the sink ends up in a sewer, which is mostly composed of water and waste. However, it's no secret that oil and water don't mix. When you pour cooking oil and other forms of grease down the drain, you're sending down a compound that can clog the flow of water. Clogs happen when multiple groups of carelessly-disposed-of oil join together. These happen so frequently and they're so problematic that they actually have a name - a fatberg. There's no telling how big fatbergs can become in sewer lines. Their size - and consequently, how much water flow they clog - depends on how long these issues go unidentified and untreated. But, contributing to the amount of oil in the sewer definitely doesn't help. As more and more fatbergs clog up the sewers, there's a bigger chance of raw sewer water and waste coming up the pipes you previously poured grease down. This is pretty much the only way for the sewer to relieve the pressure of the water and waste that build up when oil clogs the pipes. If the waste can't go out and be treated, it's going to pump back up and create a sanitary issue in your home or restaurant. Ideally, there would be no fatbergs in the sewer lines and the water treatment process would be a breeze. 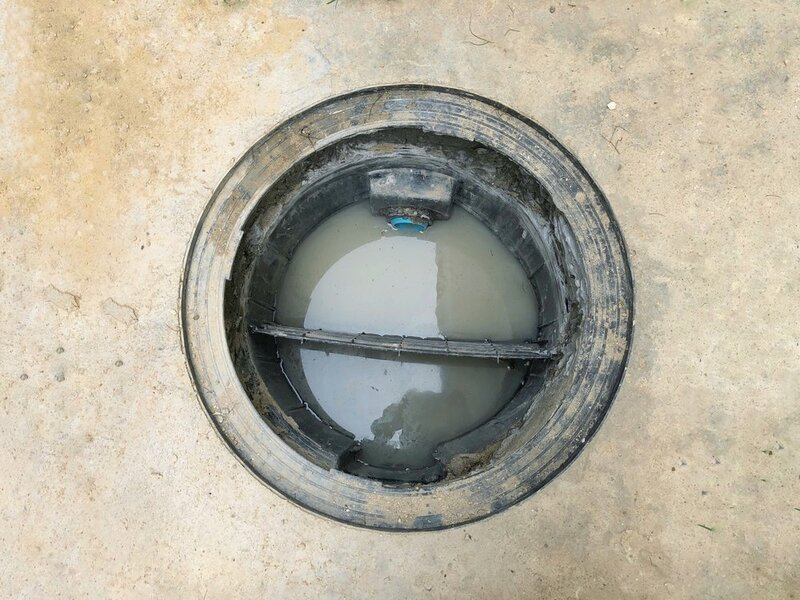 When the presence of grease and other non-dissolving materials enter the sewage lines, though, water treatment takes much longer. It also isn't as efficient because there's so much more waste to process and take care of. This can significantly compromise the quality of the local water supply. Keep in mind that "local" may mean your apartment building, your city block, or the whole town! This depends on how many people are pouring grease down the sink and how often. While you can't change the effects of grease that has already been poured down the drain, you can act now to create better waste management habits in your kitchen. Even if you think everyone else in the neighborhood pours grease down the drain, your sanitary processes can make a big difference. Click here to discover a better way to get rid of the grease in your kitchen.